CB Cash Code - What's The Scoop? Is This Program Legit? Is there a magic formula for making money online? What’s the secret to success? Unfortunately, making money online does not involve special powers or alchemy. What it does require is a ton of hard work, patience, and consistency. Having said that, if you’re up to the task, and willing to work for a time, without seeing any financial rewards, making money online may be for you. Can you make money with CB Cash Code? What’s the scoop? What is ClickBank? It is one of the largest online retailers with millions of unique products. This impressive affiliate marketing network was founded in 1998 by Tim and Eileen Barber. With an extensive worldwide client base, ClickBank is the world’s largest internet provider of digital products with additional products added daily. With 100,00 affiliate marketers active on ClickBank at any given time, the site serves as an intermediary between vendors and affiliate marketers. The digital products on ClickBank are created by passionate entrepreneurs hoping to improve peoples’ lives through instruction, inspiration, and coaching. CB affiliates are the middle men that promote these products to the public via landing pages and affiliate links. By doing so, they earn commissions. Read my post: “Understanding The Basics Of Affiliate Marketing” for more information. ClickBank Cash Code, a program developed by George Patterson, a pseudo name by the way, provides training on how to earn a substantial amount of money online. Who is ClickBank Cash Code for? CB Cash Code is applicable to anyone, but especially those who want to work from home, have a flexible schedule, supplement their existing income, and eventually bid farewell to the 9-5 bandwagon. This program apparently doesn’t require any special training, can be learned and applied from the comfort of your own home, and the training materials will teach you what you need to know to get started earning money through ClickBank. Here’s a brief breakdown of the training covered in the four PDFs. Aside from learning how to utilize ClickBank for affiliate marketing, you’ll also learn how to sell products using paid advertising, such as AdWords and Bing. In the first PDF, you’ll get familiar with ClickBank and how it works. You’ll learn how to determine which products will be the highest converting, what metrics to look for, facts about refund rates, and the best traffic sources. The second PDF will delve deeper into traffic sources, including pay-per-click advertising, SEO, keyword research, and email marketing. While the information is useful, it barely skims the surface. If you’re an experienced affiliate marketer, this may not be an issue, however, those new to affiliate marketing may find their heads swimming. Social media marketing is the focus of the last two PDFs. You’ll learn how to create a business page on Facebook, how to leverage the various social media platforms to your advantage, how to drive traffic to your landing pages via your posts, and the importance of branding. You can work from anywhere as long as you have an internet connection and a computer. 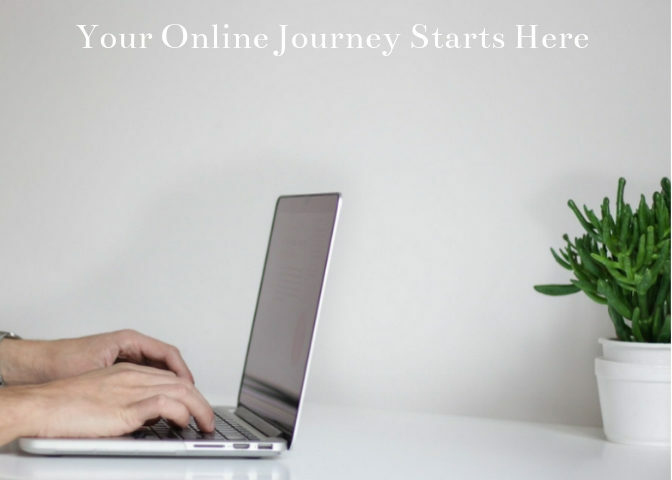 The system is easy to understand, making it available to wide groups of people, such as students, retirees, stay-at-home moms, and anyone else wishes to make an income online, or to supplement their existing income. CB Cash Code’s website is easy to navigate, and will allow you to troubleshoot any potential problems you may encounter. Once you understand the system, you can make money online without spending inordinate amounts of time. It’s only $37.00 to get started, so the risk is low. If you try to exit the site, the price will be reduced to $27.00. Check out the video here to make your own decision. What Is The Best Way To Make Money Online For Affiliate Marketers? If you’re serious about making money online, and are looking for a time-tested, reliable, and proven system that millions can attest to, check out Wealthy Affiliate. This online university is hands down my number one recommendation for building an online business. Wealthy Affiliate teaches affiliate marketing to both beginners, and seasoned marketers. There are no upsells or hidden agendas. What you see is what you get: an exceptional certification course, how to build and monetize your own website, or multiple websites, and a supportive community that will hold your hand every step of the way. It doesn’t cost a dime to join, which is absolutely amazing. This entry point will allow you to check out the training, and get a feel for how to navigate the dashboard, and interact with the community. If this sounds like something you’d be interested in, you can create your free account here. Key Points – Cash Code Scam? You can make money with CB Cash Code, just keep in mind, the claims of making $80,000 every single month, spending only minutes a day, are unrealistic. It’s impossible to amass a sizable income in a short amount of time. Earning money online takes time, effort, and a lot of patience. Whenever I see hype and exaggeration, I also see a huge red flag! In my opinion, the training itself does not go into enough depth about each subject, and it’s too brief. It could be a lot more comprehensive regarding each tactic. For instance, video tutorials are much more instructional and engaging, making the concepts easier to learn and apply. Most of us are visual learners and could benefit from this type of learning. Concepts like creating landing pages, SEO strategies, and pay-per-click advertising will be fairly new concepts to many buyers of the program. The training needs to be way more detailed for these techniques to sink in and be implemented. It’s great to have a healthy dose of skepticism regarding any online offer. It is possible to make money using Cash Code, just not nearly the amount that’s proclaimed. Try Cash Code for 60 days, and if you aren’t satisfied, there is a 100% money-back guarantee. All major credit cards, as well as, PayPal are accepted.